Compass Classroom makes video curriculum that's fun for kids, smart for moms, and easy for everyone. 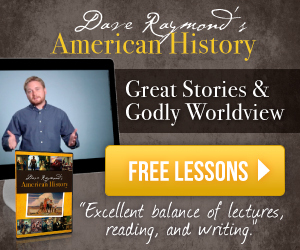 YWAM Publishing has a wonderful series called Heroes of History. 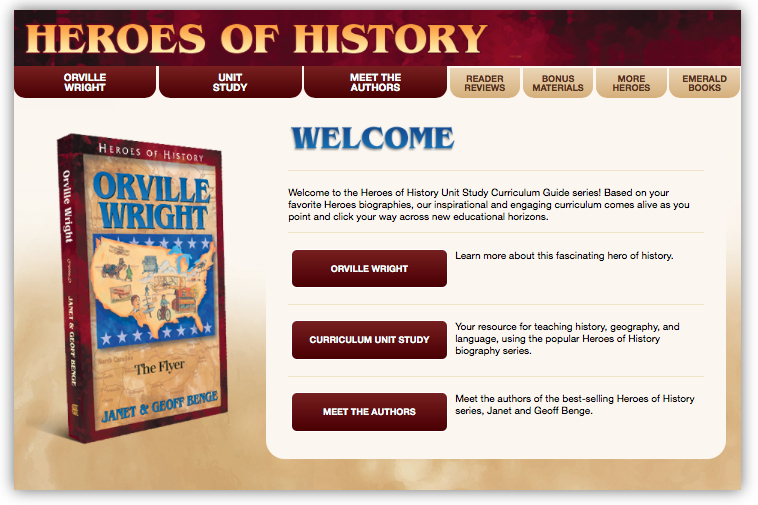 We previously reviewed Benjamin Franklin, so I was excited to have the opportunity to read Heroes of History- Orville Wright and use the corresponding Study Guide for an easy unit study. At 208 pages in length, this 17 chapter book is designed for ages 10 and up. While waiting for our book to arrive, I download the Study Guide. The Study Guide itself is 83 pages. The Zip file was easy to download. Once downloaded, I dragged and dropped it on my desktop and clicked to unzip it, and a folder popped up. Once I clicked on the folder, I clicked on the PDF folder to access the Study Guide. I took one look at the study guide, and knew that I'd prefer to have this information in my hands and not at my fingertips, so I printed it double sided in draft mode, three hole punched it, and placed it in a 1/2 inch binder. 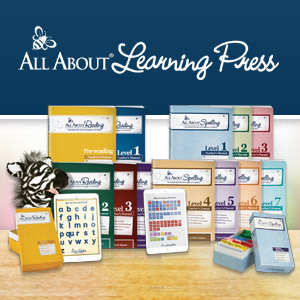 Included with the Study Guide is an overview of the Unit Study - a Classroom, a Group, and a Homeschool Overview. 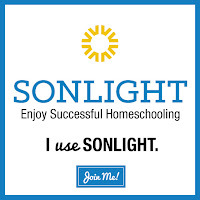 Since I am using this at home with my children, I used the Homeschool Overview which was a 24 page curriculum guide on how to use this as a Unit Study. I looked this over and discovered that Heroes of History can be used as your U.S. History Curriculum, to enhance other subject areas, or for family read-alouds. Included is a timeline chart with dates, Social Studies Topics, and Character Qualities for each Heroes of History book. This overview is designed to help you make the most of the Heroes in History biographies and Unit Study guides. Another file contained an Orville Wright Fact Sheet, several maps, and a timeline with important events ready to be plugged in. I gathered some picture books from the library to make a display corner as suggested in the study guide. We were supposed to find relevant items such as photographs of newspaper articles, a map of the Eastern United States, a map of North Carolina, models of historic airplanes, pictures of bicycle models, and more. I found these online and in the picture books for our display corner. I really wanted to buy a model for the kids to put together as suggested, but I opted to just find pictures. I pulled the chapter questions and answers out of the binder and stapled them separately for ease of use. Once the book arrived, I pulled those sections out to use while we read. I read the book to Eliana and Malachi who are 10 and 12. Boaz, who is 6, listened in some of the time, too. We read one chapter per day four to five days a week. After each chapter, I had the kids take turns giving me an oral narration and then asked them the chapter questions. The first three are easier and designed for younger children, while the last three require more ability and thought. Answers to the first four questions are given in the study guide appendix. What did we like or dislike? The first chapter in the book had a delightful hook with a cliff hanger ending designed to grab your attention and pull you into the book. It worked because my kids were begging me to read the next chapter! I enjoyed reading about Orville's life as a youngster, but the book dragged on for about four chapters while they were trying to solve the problems of flight. From finding a location to fly their glider, to how to get the wing warping mechanism to work to keep the glider in flight without the instability, it dragged on and repeated itself at times. I kept looking to see how many pages were left to the end of the chapter, hoping it wouldn't be much longer in a few places. We seemed to lose interest at this point in the book and ended up missing a day here and there on nice days. Once we hit chapter 9: "Breakthroughs" I was hoping it would get more interesting. Thankfully, it did! We finished the book at a normal pace of one chapter a day after that and enjoyed the ending. It was neat to see how the brothers worked so well as a team to achieve human flight. 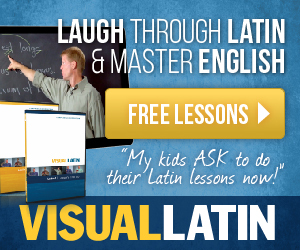 How did this benefit my homeschool? We left off in the early 1900s in our history reading, so Orville Wright was perfect for our next read aloud. In fact, it gave me the nudge I needed to keep moving forward. I utilized the study guide by using the comprehension questions and answers, but we did not do all the activities because I didn't have the resources to do the projects I wanted to do, such as buying a model plane to construct or gathering the suggested items. Even so, I feel like we have experienced an in-depth study of Orville Wright, so I can check that off our list and keep moving forward through history! While we struggled through parts of this book, it really gave us a feel of how hard it was for the Wright Brothers to solve the problem of human "heavier than air" flight. Where the book dragged on for us is where they struggled themselves to find answers to their problems, so I feel like we were there with them as they pondered, tested, and finally flew! YWAM books are some of my favorites! They are thorough and engaging (for the most part! ), and I highly recommend them! Currently using SWI-Continuation B, Primary Arts of Language: Writing (Part 3), and Fix-It Grammar: The Nose Tree (still)! Not sure where to start? Take a look at IEW's Decision Tree to help you decide. Currently using All About Reading Level 3 and All About Spelling Level 2.